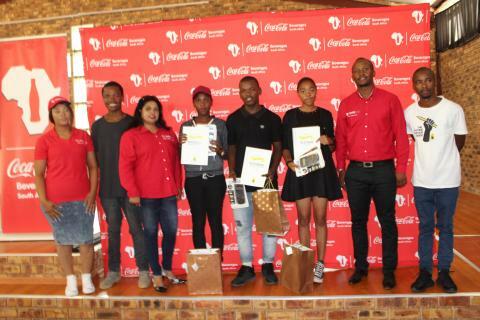 On the 28th of January and the 4th of February, the Nyanga Branch launched its Mentoring Programme for the Matric cohort of 2017. 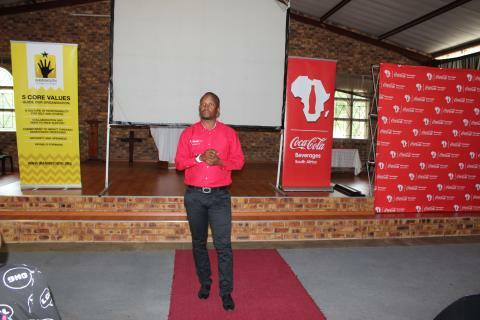 Invited to the event were mentors, mentees and the parents of the mentees. The mentors were given two dates to choose from in order to accommodate their work schedules. 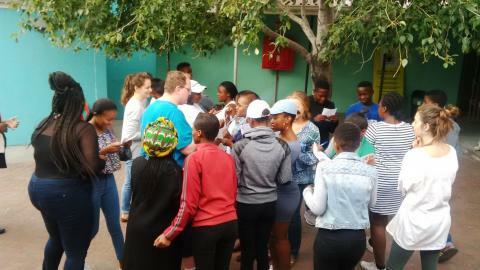 The programme of the day started with a quick ice-breaker of Human Bingo. Mentors and mentees were paired up to play the game in order to get the group more relaxed. After the fun ice-breaker, the group went back into the classroom to continue with the formal part of the programme. 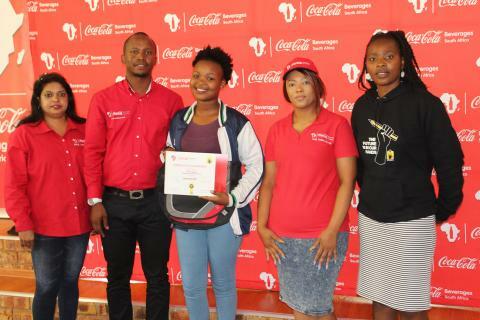 The formal part of the programme included a background on IkamvaYouth as an organsation; a breakdown of the mentoring programme and the important milestones in the matric year. 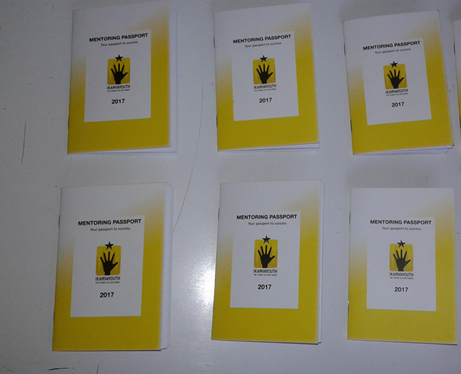 The branch was also proud to introduce the Mentoring Passport which will guide the mentoring relationship for the duration of the year. The mentor launch counted as the first mentoring session of the year. The mentors were paired with their mentees for the year who then went off to sit outside in their pairs to start their mentoring journey. The main aim of this first session was for mentors and mentees to get to know each other. 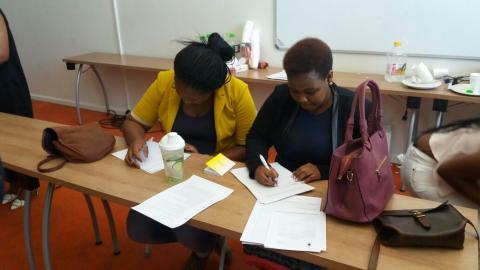 The session also focused on the mentor getting to know the goals and aspirations of their mentee. The session was closed off with refreshments and a group photograph. 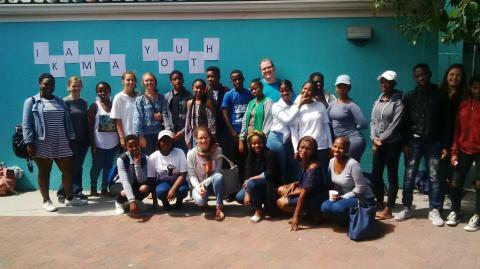 IkamvaYouth Nyanga Branch looks forward to seeing the mentoring relationships grow during the course of 2017. 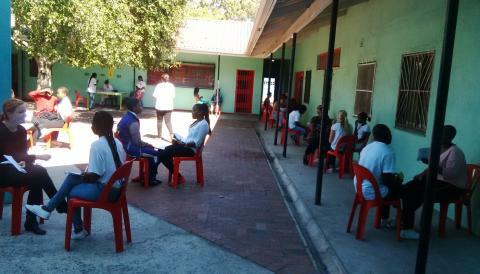 The mentoring programme is a first for the Kuyasa branch as it also hosts its first class of matrics. The branch opened its doors to grade 11 learners only in 2016 and we are excited for what 2017 has to offer. A mentor helps a learner make positive choices about their future and enables them to choose which career path to follow and to have a good idea of career options available to them after Matric. Mentors provide guidance on academic opportunities. On Saturday the 21st of January the first mentoring session was held at Kuyasa Library. In attendance there were parents and learners awaiting to meet the new mentors for the year 2017. 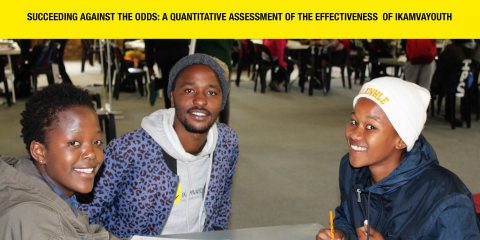 Ntombi, Kuyasa Programme Coordinator, introduced the mentors to the parents and learners and provided a refresher for everyone as to what IkamvaYouth offers. Parents were informed about mentoring, what it entails and how they can support mentors throughout the year by ensuring that the learners benefit from the mentoring programme .Mentors were given a chance to introduce themselves, share what their current professions are and why they volunteered to be a part of the mentoring program. 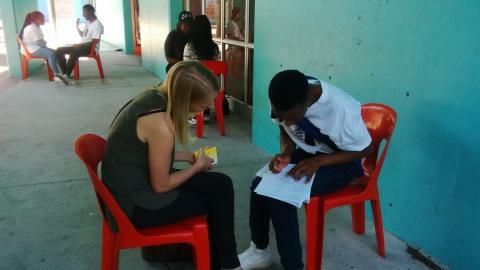 The learners were allocated time to introduce themselves to the mentors and share their aspirations. The learners were both anxious and excited as they had to express themselves in front of their parents and the unfamiliar faces of their new mentors. The parents and mentors cheered as they heard the learners share their goals and the career paths that they want to follow in the next five years. The mentors and mentees were paired based on career interests to enable the mentor to provide solid guidance to their mentee. 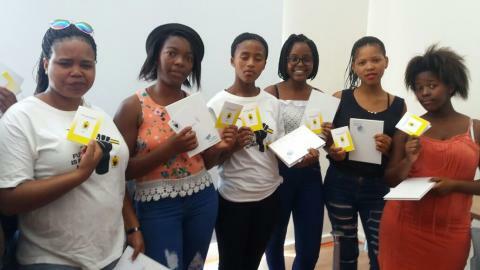 Ntombi shared the mentor-mentee passports with the mentors which allow the pair to track their progress against the months. 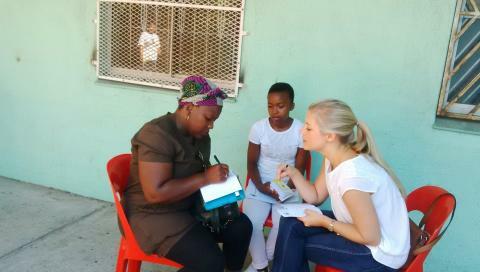 The passport provides a list of activities to be completed in the monthly mentoring gatherings.